Hibs midfielder Danny Handling has joined Raith Rovers on an emergency loan until the end of the season. 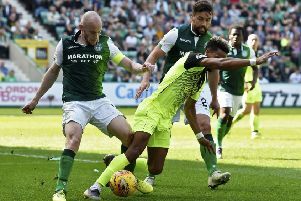 It’s been almost 24 months since the 23-year-old last made a first-team appearance for the Easter Road club having been hit by two serious knee injuries. He goes straight into the Kirkcaldy club’s squad for tomorrow’s Championship match away to third placed Falkirk.